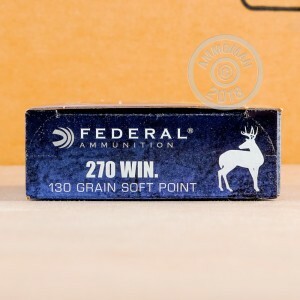 Developed by Winchester back in the roaring twenties, the 270 Win is one of the most popular hunting rounds on the market. Whether you are looking to do some match shooting, range training, or long range hunting, the 270 Win is a great choice. Federal has been around since 1922, making some of the best and and most trusted ammunition in the United States. 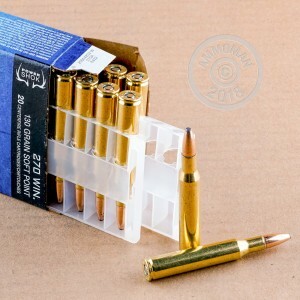 These Federal Power-Shok rounds feature 130 grain soft point point projectiles that are loaded into brass cases that are boxer primed and reloadable. These soft point bullets deliver the rapid controlled expansion and deep penetration needed for hunting medium game and deer. Federal's Power Shok ammunition is proudly loaded in the USA at their Anoka, Minnesota headquarters.